Venezuela is in deep trouble. But in some ways it's West Virginia on Socialist Steroids, which is not the same thing as the 'scientific' socialism Frederick Engels wrote of. The similarity is the condition of being cursed by natural resource wealth and a history of exploitation by external, and global, oil and coal interests. In Venezuela, the government of Hugo Chavez famously took control of the oil resources and applied historic taxes on the foreign oil interests that owned the shipping and refining and extraction capital associated with the oil. For such impudence Chavez enemies organized assassination attempts in which US government assets were implicated. Things got worse from there. It turned out fighting poverty and underdevelopment in the rest of the country could not be accomplished with cash alone. The same is true of West Virginia Senator Robert Byrd's legacy of the Federal Subsidies and a coal Severance Tax -- they did not fix WV poverty. Without being long winded, taking a world tour, "socialism" largely financed by the 'curse' did not fare will in Libya, or Nigeria, or Russia, for that matter. There are some successes -- Finland. Maybe the lesson is: if you have to partly or fully socialize natural resources to reverse suffering -- you need 1) science to guide you toward diversification, and 2) partners to help finance your less catastrophic economic development. Since there is no "great leap" from scarcity to abundance, there is no "great leap" through capitalism. President Nicolas Maduro picked a Friday evening before a long, holiday weekend to unveil a 95 percent currency devaluation. Over the ensuing three days, Venezuela was calm, even quiet. That figures to change dramatically Tuesday. 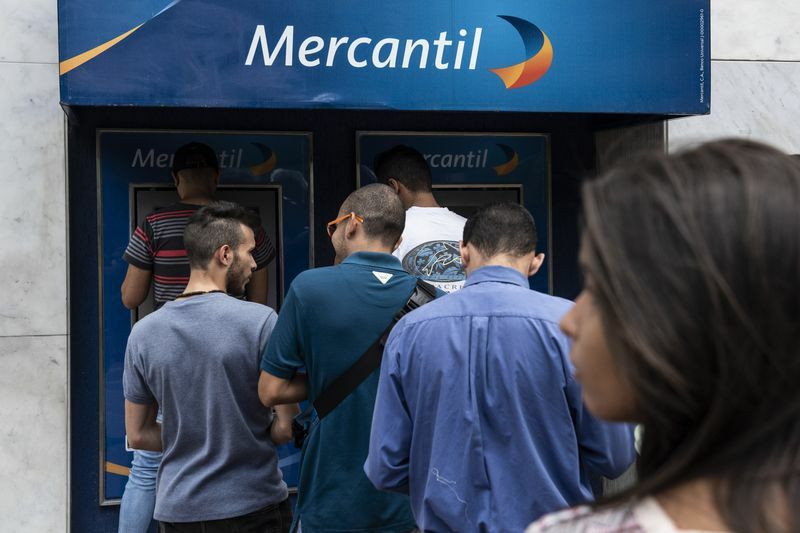 Venezuelans may encounter soaring prices even as they negotiate the simultaneous debut of a so-called sovereign bolivar currency that drops five zeros after years of hyperinflation. And on top of it all, opposition politicians and unions are organizing a 24-hour nationwide strike, saying the devaluation will deepen suffering. The plan as Maduro laid it out was "marked by inconsistencies and was short on specifics, suggesting that any attempt to stabilize the economy would start out facing huge credibility problems," Francisco Rodriguez, chief economist of Torino Capital, wrote in a note to clients Monday. Whatever its reception in international financial circles, the combination of events in the capital city of Caracas foretells heavy use of calculators -- and perhaps chaos. The nation already is in a miserable state. Inflation is running over 100,000 percent, food and medicine are scarce and citizens are are fleeing by the thousands to neighboring countries. Some have met with violence. The Maduro regime is taking measures to quell a rising sense of panic in the nation. The minimum wage will increase more than 3,300 percent. Regulated prices for 50 staples will be announced Tuesday, and the government has begun to pay a "reconversion bonus" to help holders of the official "Fatherland" identification card make ends meet during the transition. But the plan rests on a rickety foundation. The sovereign bolivar's value will be linked to a cryptocurrency -- believed to be the first time a government has tried such a thing. The Petro is backed by crude oil, and the government sets its value at $60, or 3,600 sovereign bolivars. 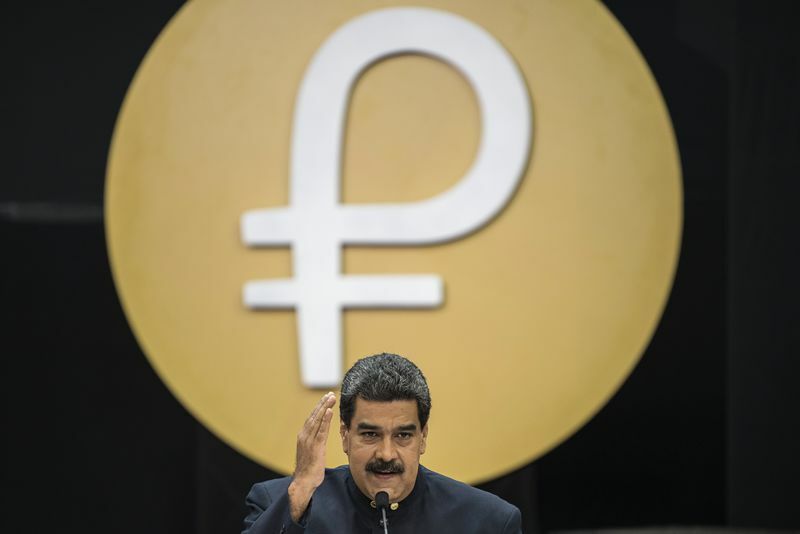 The Petro will fluctuate and be used to set prices for goods. Still, the cryptocurrency doesn't trade on any functioning market, Rodriguez wrote. Maduro during a news conference on the country's cryptocurrency in March. Private businesses are "in serious risk of bankruptcy due to the way in which the measures are being implemented," Fedecamaras, the nation's main business chamber, said in a statement Monday. The president's announcements foster "uncertainty, are improvised and undebated and are not being correctly communicated to the population." Maduro's gambit follows years of policies that turned what had once been one of Latin America's wealthiest countries into a basket case. Pressure is mounting on the socialist autocrat, with new calls for his overthrow five years after he succeeded the late Hugo Chavez. This month, Maduro cracked down anew on his opponents after an attempt to kill him using aerial drones laden with explosives. The announcement of the measures on a Friday night was a historical rhyme for many Venezuelans. In 1983, President Luis Herrera Campins devalued the bolivar for the first time in 22 years after oil prices crashed. Citizens called the date "Black Friday." But on this 2018 Monday, the streets of capital city Caracas were empty, thanks to the holiday the government called to prepare for the roll-out and to allow the banking system to prepare. Most businesses and companies were shut, and people stayed at home, went to the beach or ventured out to the few open shops. Some ATMs were dispensing the new bills, the so-called sovereign bolivar, though many were empty. In pastry shops, consumers pondered over new prices. Some asked managers to do the math. Others waited at the doorsteps of supermarkets to buy groceries. "I'm still very confused," said Loly Belson, a 56-year-old vendor, who was investigating prices at a supermarket in downtown Caracas. "I still don't know what my wage will be. I'm happy for the rise by Maduro, but I think it will be very difficult for companies and shops to manage around this, because the hike is huge." People wait in line to receive new sovereign bolivar banknotes at an ATM. Gustavo Noguera, a 69-year-old retiree, said losing the zeroes from the currency "is the government's best decision to confront the economic war." "In war, you are entitled to use your best weapons to keep the enemy at bay, be they resellers or businesspeople." Noguera said he was confident the hike in the minimum wage wouldn't elevate consumer prices. "Maduro will soon announce a 50-product list with maximum prices," he said. "No, nothing will go up." Tuesday, the nation will begin to see whether his faith is rewarded.